spreading their seed, a gentle squeeze of the capsule each day is the way I check, when they are ready you will see them split at the sides, have a container near by. 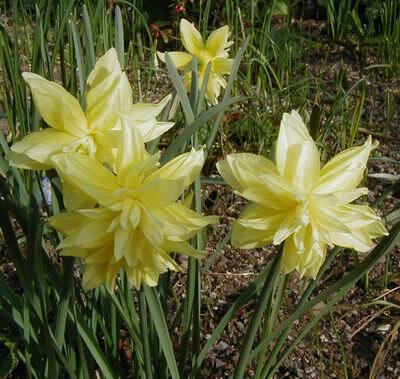 A lot of the early flowering narcissus have gone over now but is important to give them some liquid feeding to help build good flowering bulbs for next year, a tomato fertiliser with low nitrogen and high potash content is best or sprinkle some more sulphate of potash powder on the top of the pot ( log 5). I fell under the spell of this narcissus the first time that I saw it in John Blanchards narcissus book where it was illustrated under the name N. munzoii-garmandiae. 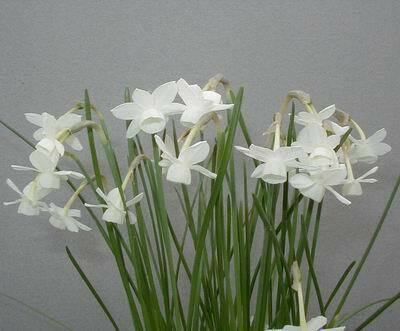 It is a naturally occurring hybrid between N. triandrus and N. cantabricus but was not available from bulb sellers so I decided that, as we had the parents, I would make the cross myself. 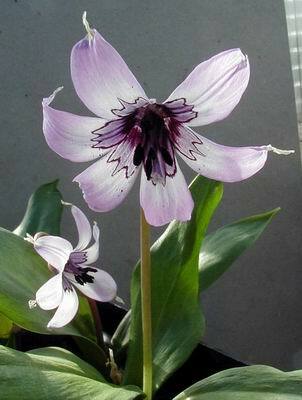 To my delight when they flowered four years later they were remarkably similar to the illustrated one. 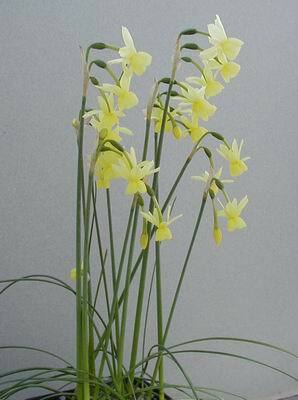 Narcissus incurvicervicus is another wild hybrid this time between N. fernandesii and N. triandrus it too is a very pretty dwarf daffy. Several years ago we managed to get our hands on a single bulb which I am pleased to say has steadily multiplied with us. This is one of my own hybrids between N. triandrus and N. watieri, made at the same time as I made our x susannae, it has now increased to make a good pot full. Although there are at least five clones here they are indistinguishable from each other. 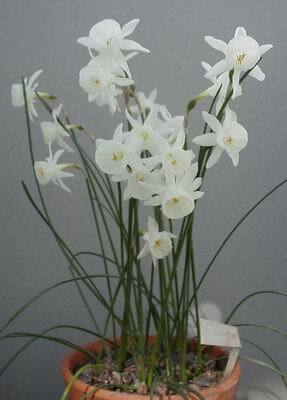 There are and have been for a long time at least two distinct types of Narcissus masquerading under the name of Narcissus 'Queen of Spain'. One with obvious relations to N. cyclamineus on the left and the other one is more like a cross between a pseudonarcissus and a triandrus . The more that we research what has been written over the past 70 years about these two types the more confusion we seem to uncover, I suspect that we shall write up our findings at a later date when we have concluded our research. The one thing that we can be sure of is that no one can any longer be sure of what was (is) the 'true' Narcissus 'Queen of Spain'. While I am on about queens this monstrosity N 'Queen Anne's double' is flowering in the garden, it is a mutated curiosity of unknown origin and has been called N. capex plenus. 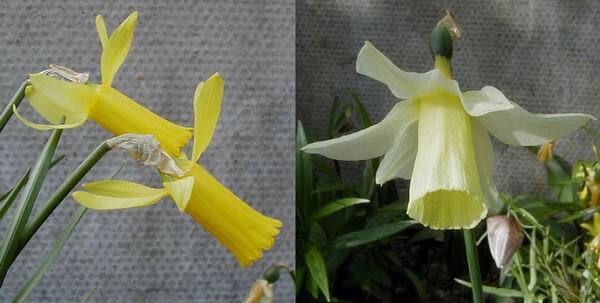 I can only accept this flower if I do not think of it as a Narcissus, others might love it. 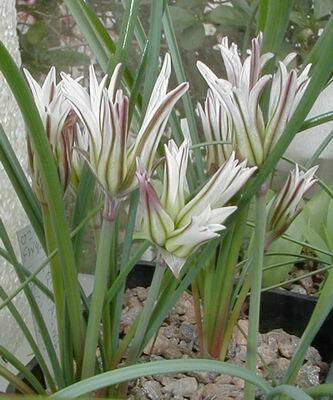 Many logs ago (log 3) I showed the emerging leaves of the south American bulb Tristagma leichtlinii and promised to show you the flowers when they were out , here they are. 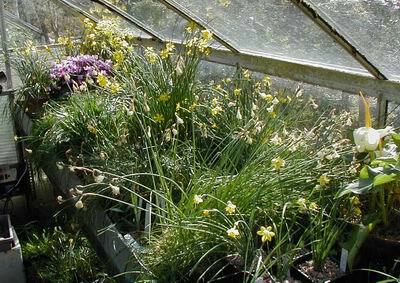 The Frit house is still in peak growth with some having flowered and are now going over while some are only just emerging through the gravel . 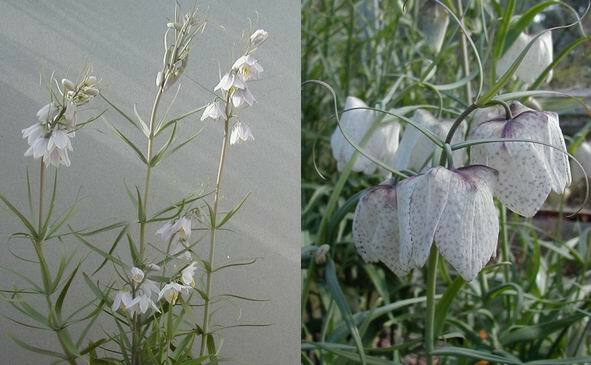 Two of the Chinese ones in full flush are F. tortifolia with its large square shouldered bells with beautiful markings inside and the only frit whose flowers can be described as both pink and blue at the same time, F yumiensis, both are recent introduction to our garden. A frit from the USA and one of the most beautiful is F. pluriflora which is growing well for us producing seed each year. 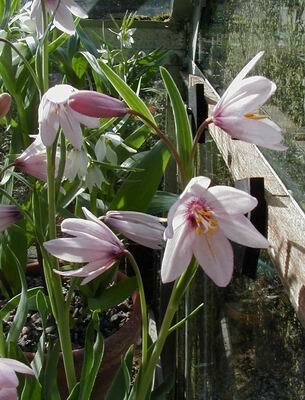 And the Erythronium for this week is E. japonicum, perhaps my favourite of the dens-anis complex with its fabulous markings, fat style and violet pollen.